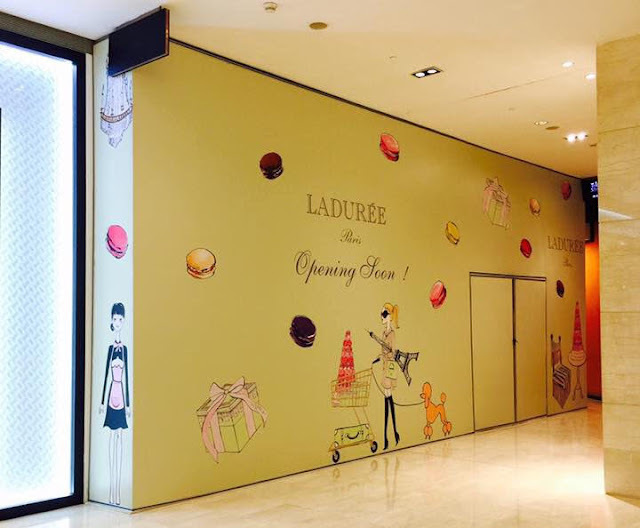 LADUREE is opening in MALAYSIA!!!!!!!!!!!!!!!!!!!!!!!!!!! You may ask what is this irrational fanatic craze over Laduree. I don't know. And I know I am not the only one. Laduree have spread their wings to a lot of other countries - Japan, UK, Belgium, and even our neighbour country, Singapore. Their presence in Kuala Lumpur brings me huge happiness. It makes me feel like my life is complete, now that I have access to macarons packed in pretty boxes. Now they are venturing into literature as well. Don't be confused. Let's just focus on the bakery. They have a lot of other pastries in their bakery but the famous one is definitely the macaron. When ordering, the first thing you need to let the shop assistant know is, how many pieces you want, 1 or 3 or 6 or 9 or 12. This is to prepare them for the box. Boxes are provided for 6 pieces and above. If you order 1-3 pieces, they're going to pack it in paper bag. The have variety of colours and box design which makes you feel like you want it all. Then, they will ask you which box you'd like to have. 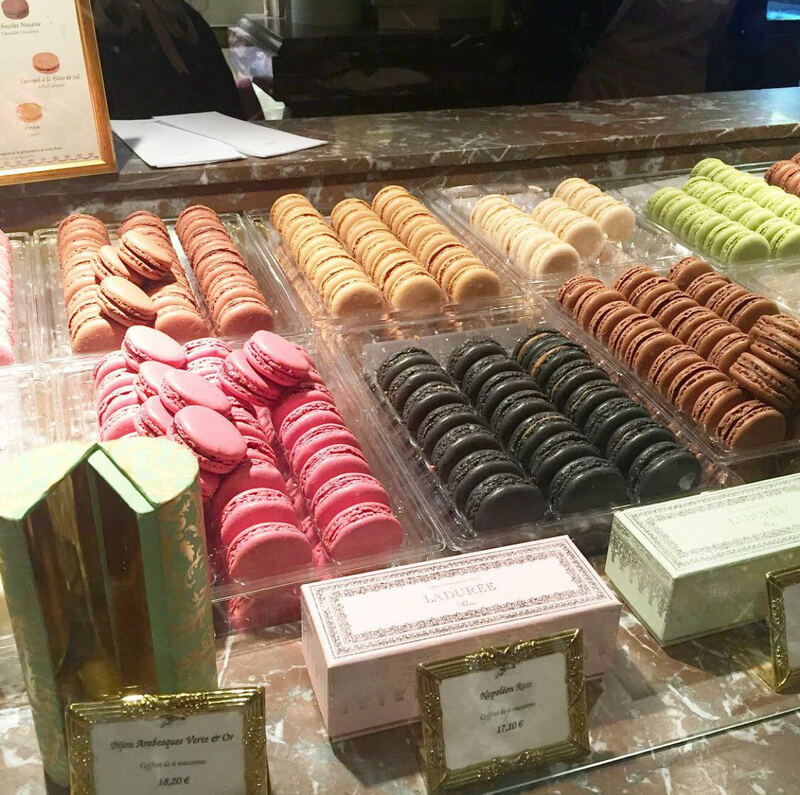 Lastly, pick the macarons flavours that you want from the display. Take note that they also have special flavour for the day. You may be given the flavour menu while you are still queueing up on the line. That will save you some time to decide which one to go to. You may experience extreme long queue at Laduree Champs-Elysees. Don't be surprised if you have to wait an hour to be on the queue just to get a box of macaron. It's normal. But there's one trick to skip the queue, which is to pre-order it online. Pick your box and macaron online, and have it request to deliver to you (in Paris only). Alternatively, you can opt for pick-up by appointment. That saves a lot of your time. It's all about branding. Having really pretty packaging and corporate identity that reflect Paris in a very detailed form has gained fans all over the world. The macaron itself is an art of baking. 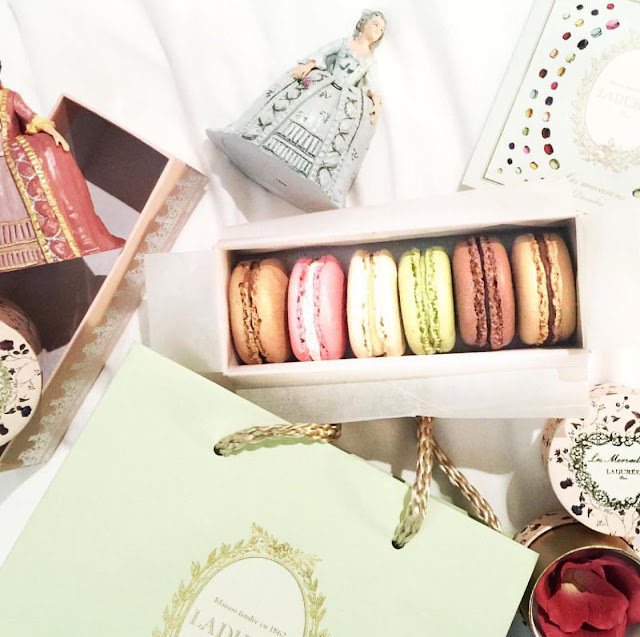 Some says macaron is invented by Louis Ernest Laduree himself. It is a brand that made popular by a lot of celebrities and movies (the macaron appeared in Marie Antoinette movie and Gossip Girl series); and is portrayed as the Rolls Royce of macarons. Now, where is this Laduree going to appear in Malaysia? The location is at Pavilion, Kuala Lumpur. Photo from Places & Foods travel blog. Do check out the blog for amazing travel tips & first hand news on happenings. I can't wait!!!! 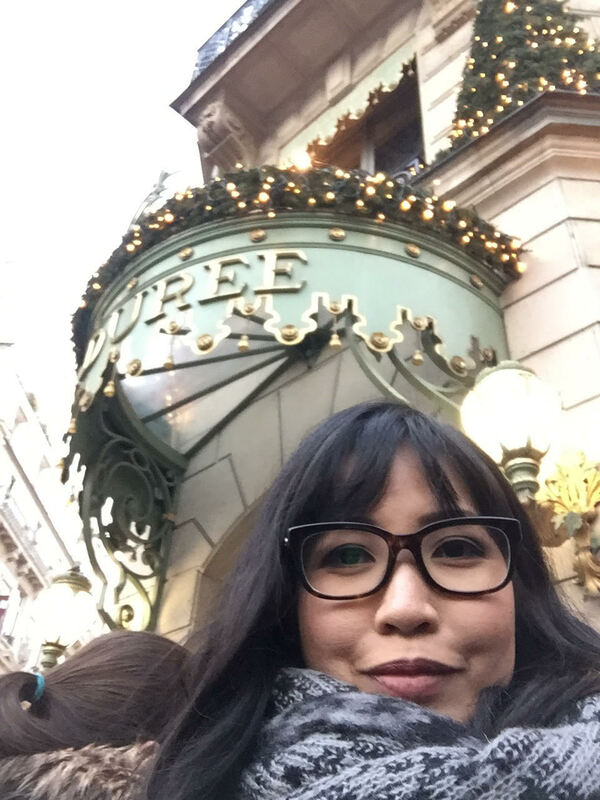 Long live Laduree!!! !